DTI’s can be used to measure small distances very accurately. Though they can measure a distance they are often used to merely indicate a difference in distance. Usually the aim is to reduce this difference to zero. So whether they are imperial or metric is often not important. A DTI can either be the plunger sort or the lever sort. On the plunger type the travel is often about 10mm though it can be up to 50mm The main dial will be on a bezel that rotates. 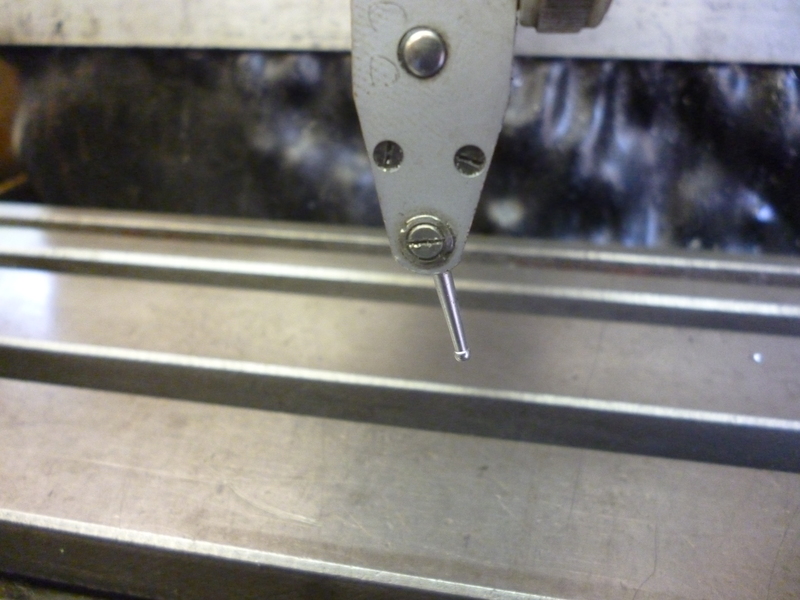 It is calibrated in hundreth’s of a millimetre – from 0 to 100. A smaller dial will then record the number of whole millimetres. On the lever type the travel is much less, about a millimeter. There is only one main dial. In many cases, when milling, the lever sort is more useful. This is simply because it can be used to reach places where the plunger type cannot. There are two types of lever DTI. On the first the marking are on a bezel that can rotate. This is usually marked, 0 through to x. The needke will only go from 0 though to x one way. On the second the scale is just marked 0-x. Which way the needle goes when the tip is pushed in can be either one way or the other. There is a little switch on the side so which way it goes can be chosen. It is possible to use a plunger type DTI as a lever type one. It might seem that this would save on using a lever type one. This can be done with a little gadget as shown. 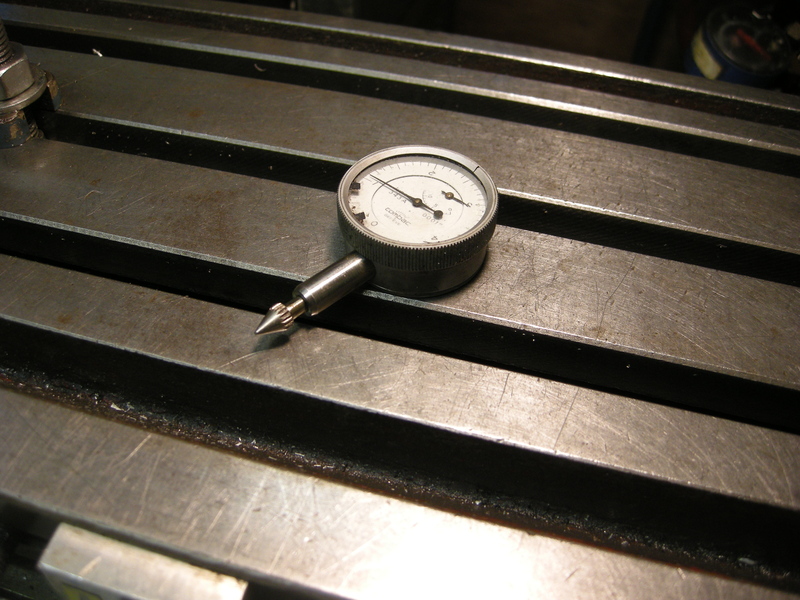 The advantage of this is when aligning an internal bore on the lathe. This is becase the error when starting is often large and the range of a lever type DTI is often too small. This device makes a plunger type DTI work like a lever type but with the range of a plunger type. On a plunger type DTI the tip might be almost a point. This often turns out to be a very small bearing on the end of the tip. On a flat surface this is a reliable, consistent point. On a round shape a small flat surface can often be more reliable. On the plunger the tip always moves in a straight line along the axis of the plunger. On the lever type the tip actually rotates through a very small arc. Because of this the tip is is a special pear-shape. If the movement of the the tip is done at right angle to the tip, the distance moved will be that shown on the scale. However, if the movement is not at right angles the movement shown on the scale will not be correct. The special shape of tip used compensates for this. Clearly this tip is only used on the lever type dti. In most cases readings on dti are only relative so it seldom matters. 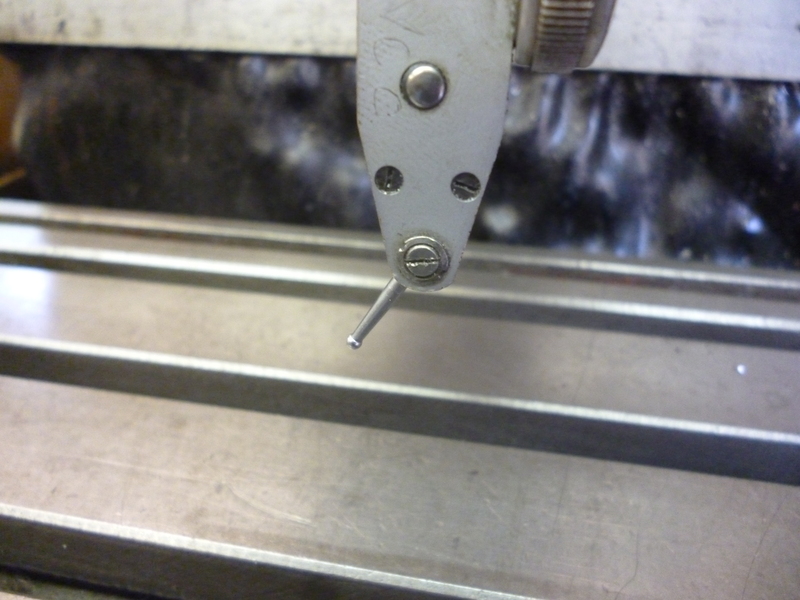 On the lever type the tip can be rotated so the zero position can be changed. 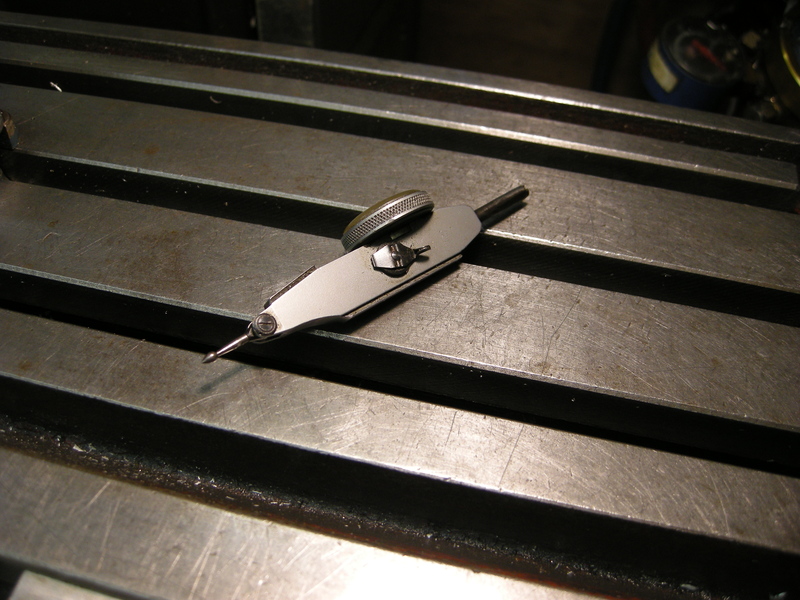 The tip is simply pushed with a finger to a convenient position. The DTI is the gold standard for testing whether a surface is parallel to either the x, y or z axes. If it can do this then it can measure any other angle indirectly by using a protractor. Though it is the ultimate test it is not the quickest test. There are often other methods that are good enough but much quicker to use. DTI’s are very delicate instruments. For them to function properly they need to be looked after carefully. They do not need to be lubricated and should never be lubricated. They should never be opened up. The smallest piece of dust can spoil the movement. Sometimes the probe on a lever type of DTI can get broken off. The threaded part remains in the swivelling part that holds it. This threaded piece needs to be removed. The part that holds it is hardened. One way of sorting this out is to file a groove across the swivelling part with a sharp file with a knife type edge. This can make enough of a groove in the threaded bit of the probe so it can be screwed out with a very small screw driver.